This entry was posted on October 16, 2014 by Marco Rivera. James A Jones, Business Development Director at Crowdnetic, talks to Patch of Land’s AdaPia d’Errico about building wealth and growing communities through real estate crowdfunding. The interview can be read below, as well as on the Crowdneticwire. JJ – AdaPia, thank you for joining me today to discuss real estate crowdfunding. Can you give us a brief explanation of RE crowdfunding? AD – It is an approach to raising capital for new projects and businesses by soliciting contributions online from a large number of unrelated individual stakeholders. This approach, which is taking the real estate industry by storm, is made possible through new SEC regulations (Reg D, 506c) and the JOBS Act. JJ – Tell us where real estate stands as a category in the Top 10 for Recorded Capital Commitments, or simply, money raised? AD - Sure. 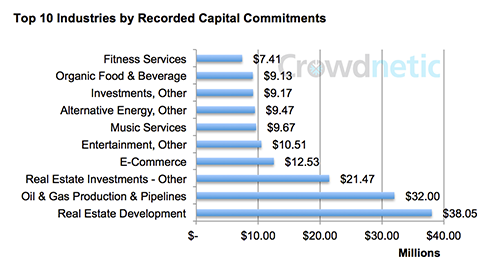 If you take a look at the below chart, you will see that not only is real estate development the number one category for monies raised, but is doing so at an exponential rate relative to many of the other categories. 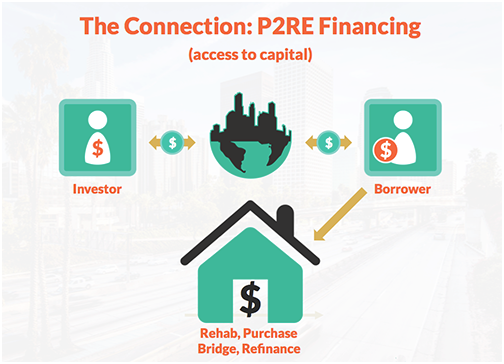 JJ – Can you describe to us the classic problem that crowdfunding real estate solves for both the investor and the borrower? 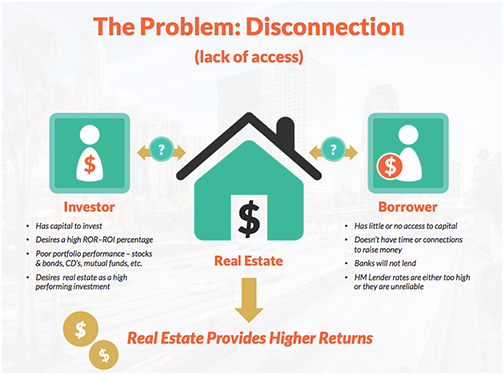 JJ – Who are the current investors in real estate crowdfunding and do you see this investor market growing? AD – Currently, accredited investors, which are high net worth and ultra high net worth, share the market with institutional investors such as fund managers, investment advisors and wealth managers. We see that expanding significantly with the passing of Title IV, known as Reg A+ (AKA retail crowd funding), from the 8 million accredited investor households to over 115 non-accredited investor households, plus family offices and other institutions. JJ – In your model, you are bringing traditional real estate operators to your platform, correct? How does that work? JJ – Lastly, what recommendations do you have for investors who are looking for a crowdfunding platform? JJ – AdaPia, as always, great to talk with you, and I look forward to exciting things happening at Patch of Land. We hope you enjoyed this interview. Thank you again to Crowdnetic and Jim Jones for spotlighting Patch of Land and bringing attention to our mission. See Jim Jones and AdaPia d'Errico at Crowdfinance 2014. 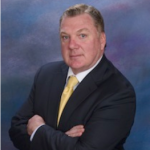 This entry was posted in Q&A From the Patch and tagged Growing Communities, Jim Jones, Crowdneticwire, building wealth, interview, crowdnetic, AdaPia d'Errico, crowdfunding on October 16, 2014 by Marco Rivera.